Although we can offer guidance, finding your PIPS placement is a student-led process. This will give you valuable experience when finding work in your future career. Undertake your PIPS placement at a suitable time during the 2nd or 3rd year of your PhD. You will need to formally complete your taught first year before going on your PIPS (marks will be ratified early October of your second year). Your placement must last 60 days in duration. University/PIPS organisation closure days and SWBio DTP cohort activities are included in these 60 days. Placements can be full or part time but student experience suggests that you will get most out of your PIPS if it is full time. If you are studying part-time however, then placements should also be taken part-time, the duration calculated on a pro-rata basis. It is expected that Annual Progress Monitoring (APM) takes precedence over the placement, therefore, the APM submission deadlines and meetings should be taken into account when deciding on dates for the placement. If it is unavoidable that the APM submission deadline coincides with the placement, it is normally expected that the required work is submitted prior to starting the placement or during the placement by the original deadline. If the APM meeting coincides with the placement, it is the student's responsibility to alert their postgraduate administrator in a timely manner to discuss further. Your placement must not be directly related to your PhD project. PIPS are intended to help you understand how your research and professional skills can be used in a more broadly relevant context. Research roles in academia are not appropriate, even in an area unrelated to your PhD project. Your placement should provide experience at a level appropriate for a postgraduate student. Placements should be projects that are well planned and managed. 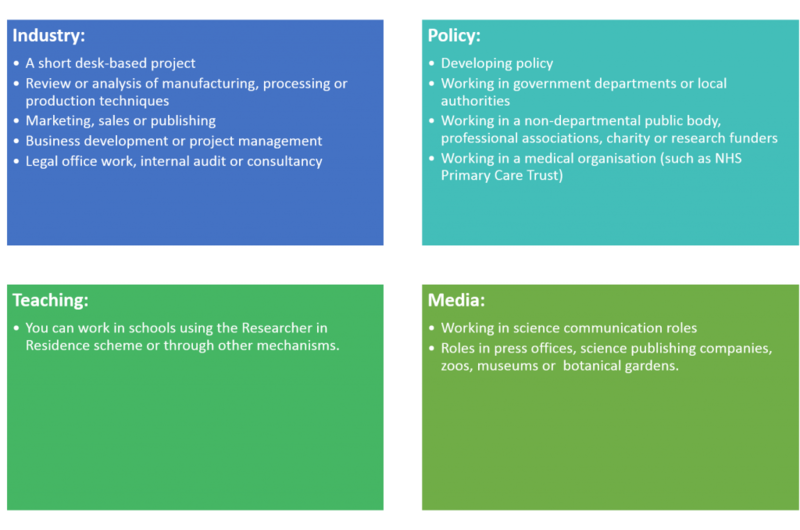 There are a few pieces of paperwork that need to be completed at different stages of the PIPS process (job description, legal agreement, SWBio DTP PIPS feedback form, BBSRC PIPS report). Please allow extra time for this paperwork to be completed—this could be 3 months or more. You can carry out your placement at two different organisations as long as the time at both organisations totals 3 months or 60 days. You are not allowed to receive a salary during your placement. This goes against funders terms and conditions. Instead, you will receive your stipend throughout and either your PIPS budget or your PIPS host organisation can provide support for accommodation/travel. Your stipend will continue as normal throughout your placement and there are funds available to cover travel and accommodation costs. Your host organisation may help to subsidise these costs. All costs directly incurred as part of the placement project should be met by the host organisation. 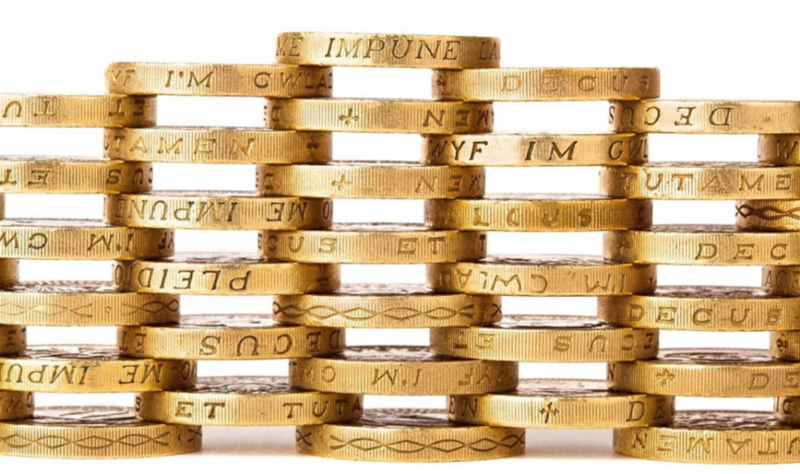 £920 for fieldwork – this covers costs associated with fieldwork/conferences. You have flexibility within your fieldwork budget, so if you underspend in your PIPS budget, you will have extra money to spend on fieldwork/conferences and vice versa. If you exceed your fieldwork budget, you can use your RTSG to cover these costs, but this must be in consultation with your supervisor. As part of the SWBio DTP, you are expected to attend the PIPS Conference each year of your studies (it is optional for people undertaking their placement at the time of the conference). The programme is curated to give you the information and tools that will help you to get the most out of your placement and empower you for your career beyond higher education. Once you’ve attended the PIPS Conference, you may be starting to get an idea of the type of placement you would like to do. It is now time to start thinking about what exactly you would like to get out of your placement and what sort of experience might benefit you the most. After the conference you should have the confidence and information you need to contact potential host organisations. Organisation: Consider the type of working environment and sector you would prefer; small organisation or global corporation? Public or Private sector? Role: What type of role would suit your skillset? Do you work best independently, as part of a team, or as a leader? Location: Where would you like to live? City or country, home or abroad? Send an email directly to a key member of staff at an organisation you are interested in working for. It has more chance of success if you have a name to address your enquiry to. You should attach the SWBio DTP PIPS letter which outlines the scheme (many organisations will not have heard of it before). Speak to your local PIPS Management Team or institution careers service. They may be able to provide you with contacts with an interest in PIPS. Use contacts you may have secured through networking, past work experience or your supervisor. Networking events are often a good way to meet new contacts and increase your chances of hearing about potential placements—this can be at events, on LinkedIn, or in everyday life. Careers Services Searching for a suitable PIPS placement is a student led process, however you should make the most of the careers services available to you at your home institutions (links below). Trained staff are available to provide valuable advice, both for securing your PIPS placement and your future career. A PIPS placement is your chance to try something new and to develop your skills in areas other than research. Remember:The experience is intended to help you understand how your research skills can be used in a broader professional context. Consequently research roles in academia are not appropriate, even in an area unrelated to your PhD project.Here are some examples of the types of placements you could apply for : Read about the past experiences of other SWBio DTP students who have completed their PIPS. PIPS can be taken abroad, but any extra costs associated with this must be met through your RTSG/fieldwork budgets (after discussion with your supervisor) or via the host organisation. There may also be funding pots that you can apply for through your host institution. It is likely that most students will be able to carry out good quality placements locally.If you are thinking of doing your placement abroad, have you considered the following? 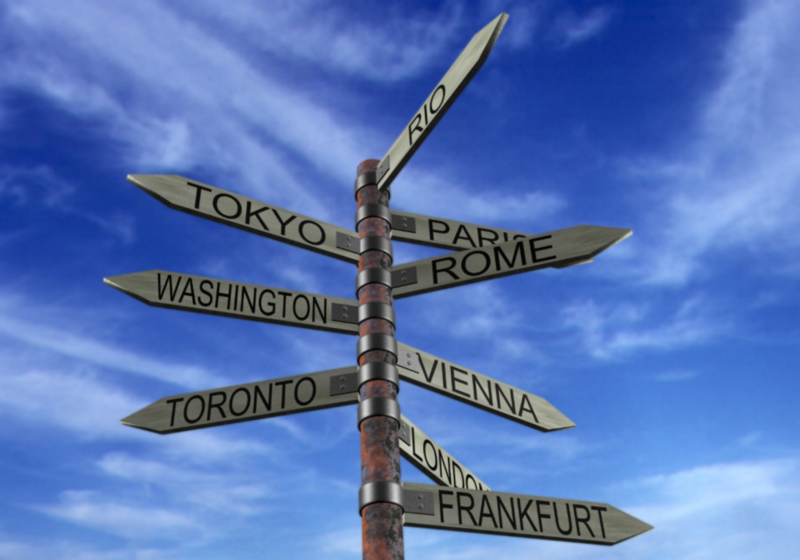 Do I need to alert my registered university to the fact that I am travelling abroad? Visas For advice and guidance, please view the relevant embassy website. Also consult your PIPS supervisor as they may be able to provide some guidance. Needed for a placement outside the UK. PhD students are eligible for university travel insurance and we would strongly recommend using this. Alternatively book travel insurance via a reputable company. You will need to obtain a European Health Insurance Card (EHIC). This is free and can be obtained through the NHS choices website. You may already have a card but you will need to apply for another card specifically for studying abroad purposes. This will be a paper application. Non-EU citizens who are UK residents may be eligible for an EHIC. This will vary from country to country so further advice will need to be sought. When undertaking placements in the USA – additional healthcare insurance is most likely required. Legal agreement - this needs to be signed by the relevant person from all three parties (you, the student, your host organisation and your home institution). This is a legally binding document, so please ensure you take the time to read through. Any questions or queries about the agreement, please ask. I’ve secured my placement, what do I need to do now? Fill out a job description template this will outline the main purpose of your placement and your key responsibilities. Some sections will need to be completed by the host supervisor. Send the job description to your PIPS Management Team member for approval in order to ensure the placement will provide you enough scope for professional development and meets the requirements. Once suitability is approved, a SWBio DTP legal agreement will be issued by your local PIPS Management Team Member to your PIPS host who will then need to approve it with their legal team before it is signed. This can take up to 2-3 months so please ensure that you factor in this timescale. This must be signed before you can commence your placement. Exeter Students: You will also need to ensure that your contact details on ExeHub are correct when you go on placement and amended to your term time address upon your return to your studies. Rothamsted Students: you will need to set up paperwork with your collaborating university, for more information contact Donna Fellowes (donna.fellowes@rothamsted.ac.uk). Some internships may be very structured, whilst others may not. It is a good idea to set some personal goals at the start of your internship to give yourself something to aim for. It will give you a sense of accomplishment once you have achieved your goals and make you more motivated. Remember not to set unrealistic goals that are unattainable! Having regular meetings may be difficult but it is important to try and uphold. Meetings with your supervisor will allow you to talk about your experience and will give you the opportunity to discuss any difficulties you may be having. Your supervisor may also be able to offer advice and help you progress and improve as an individual. This is also a perfect time to ask for feedback! You may well be given tasks you do not find very interesting as part of your internship, such as data entry or filing, but the key is to complete all tasks with equal levels of enthusiasm and professionalism. Make sure you avoid negativity – do not complain, be rude or appear close-minded. Your attitude to your work will be instantly noticed by your colleagues. Take every opportunity you get to attend meetings/conferences/events/workshops which will give you the chance to increase your knowledge, network and build working relationships. Undertaking an internship is a learning experience and you are not expected to know everything. Seek advice and ask questions when you come across things you do not understand. Checking something you are unsure of before you do it will ensure you complete your tasks to the best of your ability. Employers always like to see employees take the initiative and tackle problems themselves. Problem-solving will help you become more confident in your work and you will find your internship more rewarding. It’s very important to try and network with your colleagues during your internship. They can be a great source of job-hunting advice and can offer you a range of helpful tips on how to progress in your career. Specific networking sessions can take place at conferences or work events, but do not forget the importance of being sociable each day in the workplace. Having a chat with someone in the canteen, joining a company sports team or attending a work social event will show that you are a good communicator and a team player, skills that are often seen as very desirable by employers. As you reach the end of your internship remember to show appreciation for the opportunity you’ve been given by the staff at the company. Remember, you may want to contact them in the future for a reference or even a job! Undertaking an internship may be your first encounter of employment or it may be that you already have some working experience. Either way, please ensure you conduct yourself professionally at all times with an understanding of the standards and expectations of your PIPS host. You should not begin discussions with any potential PIPS host until you are clear about when you are able to undertake your internship. Once you have agreed with your PIPS host to undertake an internship with a defined job description and start and finish dates, you are expected to undertake that internship. It will not be seen as acceptable professional practice to withdraw from either preliminary or advanced negotiations for anything other than genuinely unforeseen circumstances. You will need to make your supervisor aware that undertaking a PIPS is a mandatory component of the SWBio DTP programme. 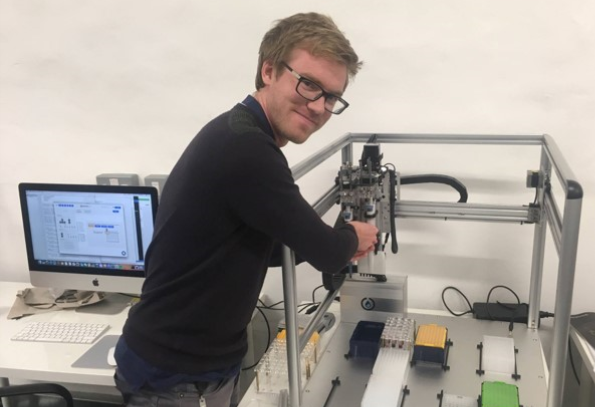 PIPS is a recent BBSRC internship scheme and one that your supervisor may not be fully aware of. In addition, keeping good communication with your supervisor will ensure that the timing of the PIPS fits with the plans that you and your supervisor have for your PhD project. Please note, you are required to maintain contact with your supervisor throughout your internship. Student Induction Checklist- make sure that your placement provider runs through these things with you on your first day. Within the first fortnight of your placement you will be contacted by the PIPS team at the University of Bath to see how you are getting on. While on placement it is your responsibility to maintain contact with your main supervisor. It is standard institutional practice for this to be at least once a month. Your supervisor will be keen to hear from you! Contact can be kept by email, in person, skype or telephone. For Exeter Students this should be at least once a month and should be recorded in MyPGR. Contact can be kept by email, in person, skype or telephone. During your placement you are required to set up a visit with your supervisor. This is an informal visit with the primary aim of monitoring your progress and welfare. It may be necessary to obtain the correct permissions from your host organisation to authorise your visitor’s access. To prepare for this visit please complete the visit preparation form. A visit report form will need to be filled out by your visitor and there are some sections you will need to complete ahead of the visit. This will then be retained by the Bath PIPS team. However if your placement is not close to your host institution, this meeting can take place via Skype (preferred) or telephone. If the supervisor cannot visit at all then it is the responsibility of the second supervisor or the local PIPS Management Team. Depending on the timing of your PIPS, it may conflict with the PIPS Conference or the Annual Conference. If this is the case, you are not required to attend the PIPS Conference (June) unless you want to do so, but you are required to attend the Annual Conference (September) and other cohort activities. You will need to make your host organisation aware of any such events in advance of the placement. Although you will not be on campus, you are still a student of your host institution. This means that you will still have access to all the facilities and services that would normally be available to you at your host institution. Whilst on PIPS make sure that you receive adequate information, instruction, training and supervision from your host organisation. If you feel you are not receiving any of these things please get in contact with your registered institution as the placement provider could be in breach of contract. If you have an accident while on placement , you must report this to the PIPS Management team and your registered institution immediately. Due to the short length of the placement, it is not recommended to take holiday during this time. However, if this is unavoidable, please discuss with the organisation’s supervisor (preferably prior to signing the contract). University or host organisation closure days and cohort activities are included in the 60 days of your placement. There is not a set length for your holiday but it will have to be agreed with your PIPS supervisor and the extra time added onto your 60 days. Once your placement has finished, the Bath PIPS team will contact your placement provider for post placement feedback. You will be required to complete a report for BBSRC. This is a requirement of your funding. The PIPS placement report is accessed via a link that is unique to each student. To obtain a link, each student should email PIPS@bbsrc.ac.uk with the text ‘Please email me a link to the BBSRC DTP PIPS Internship Report’ in the subject field. Only the BBSRC will see this report. You are required to complete this within 3 months of completion of your internship. BBSRC have produced a guidance document to help in completing their report. After completing your PIPS, you will be required to give a short presentation of your experience at the first conference following completion of your placement. This will be in a similar format to the PIPS Conferences you have previously attended. Once you have completed your placement you will also be able to claim back your expenses. Please follow the normal procedure at your institution.